Pennants are 100 ft. durable strings with brightly colored flags hanging from them. 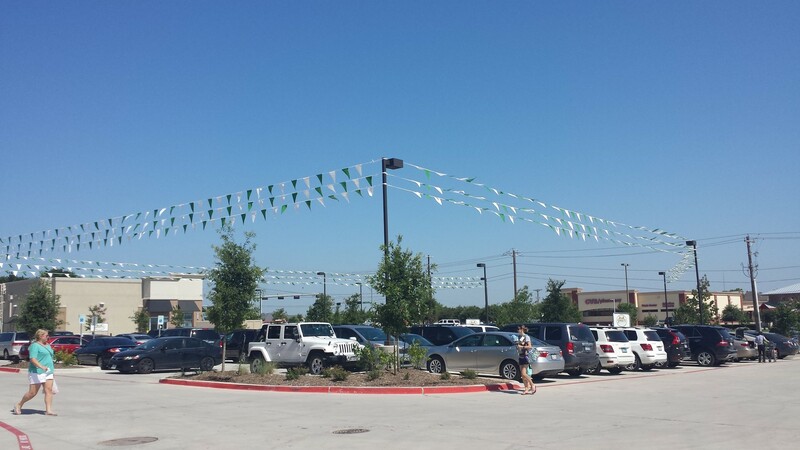 Available in a variety of colors, pennant strings are a great way to get your location noticed. When you have a parking lot or a big area that needs a little something added to it, pennants are the answer you’re looking for. As a popular add-on for California grand openings and events, they add that special wow factor to your advertising promotions. Along with our other outdoor advertising products, pennants are a sure fire way to draw attention and promote your business.